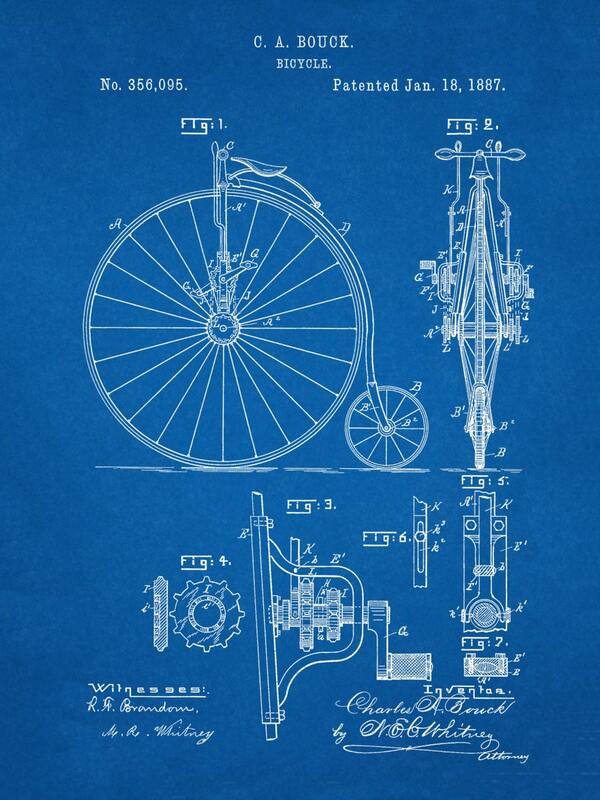 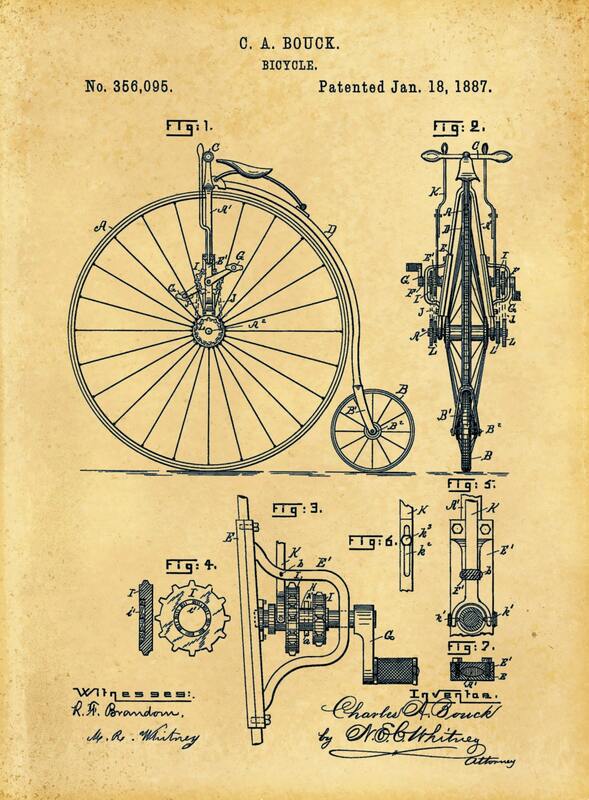 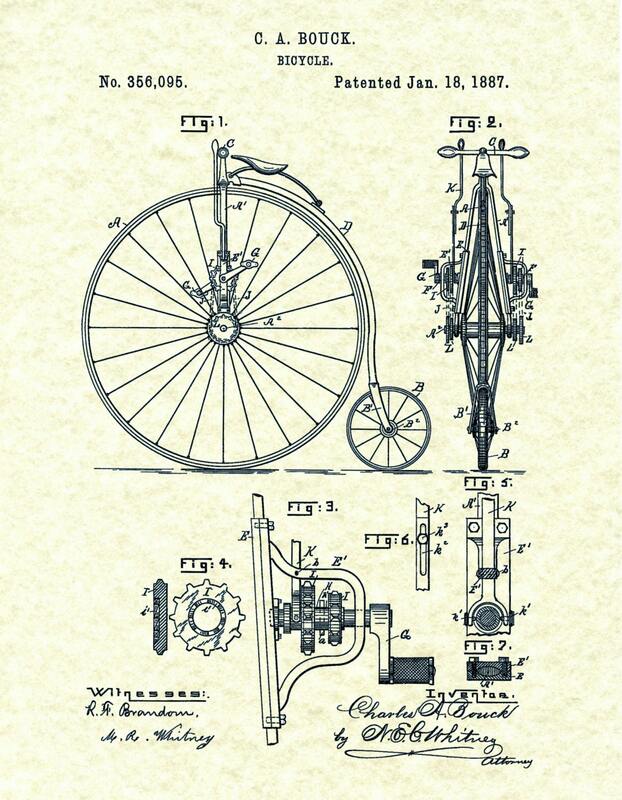 1887 High Wheel Bicycle Improvements Patented by Charles A. Bouck. 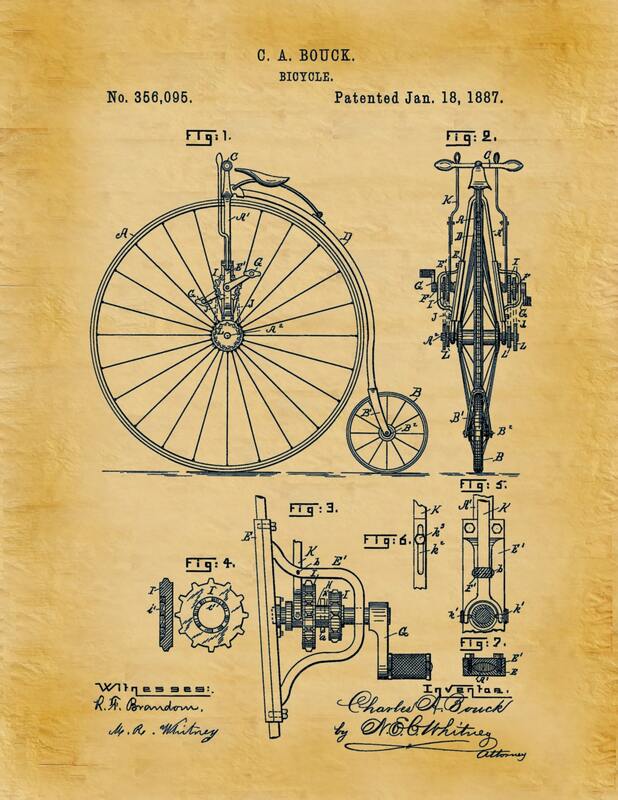 Patent was issued by the United States Patent Office on Jan. 18, 1887. 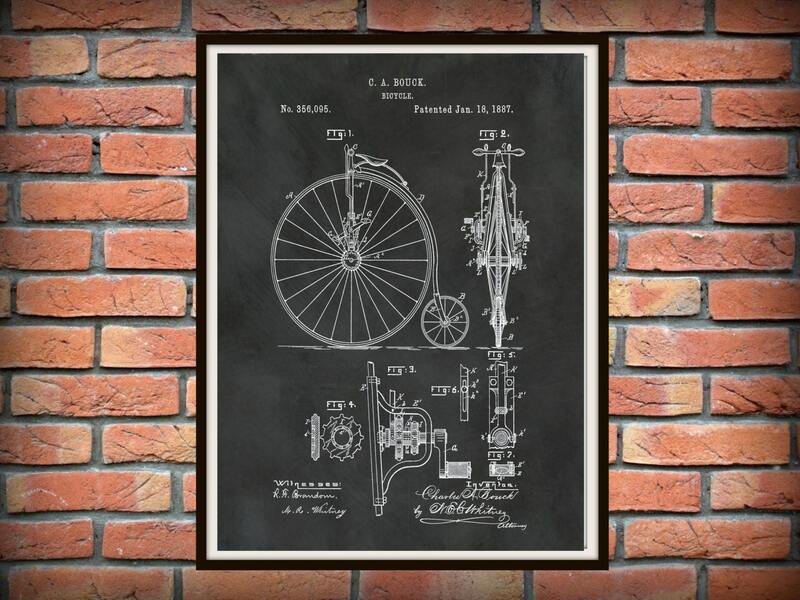 Note: Computer may monitors vary in color calibration therefore your print may have a slight difference from what your see on your screen.